To escape the tropical heat of our endless summer in Singapore, we took a trip to Melbourne to enjoy the cool temperatures of the Australian winter. Needless to say, Melbourne was an obvious choice for our travel destination for it’s the enclave of modern and historical buildings, instagrammable laneways and most noteworthy of all, a hipster cafe culture. 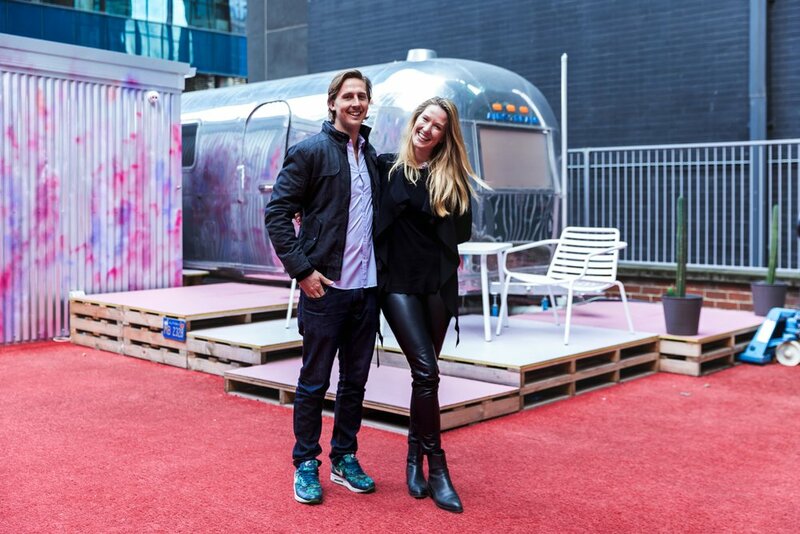 Our journey began at Notel Melbourne, an uber cool airstream trailer concept which totally redefines the idea of a hotel stay. To say the Notel Melbourne is cool is in itself an understatement. Designed like a ‘speakeasy’ concept, the entrance is slightly hidden and we got a bit lost finding it. However, this mysterious allure is what makes it even more enticing. After a bit of searching, we found out that it can only be accessed via a cafe kiosk ‘Saluministi’ at the ground level. From the entrance, there is a backdoor and a series of stairs leading up to the roof where the trailer units are parked. Located at Flinders Lane, Notel Melbourne has a convenient location, just around the corner of Flinder’s Street station and a stone’s throw away from great attractions and hip bars. We had the privilege to meet the hotel founder himself, Jack Fry! We had a quick chat and he told us all about his creative vision of the hotel and even recommended some bars and cafes to try out. He recommended checking out Bartronica, a cool bar with retro arcade games just a 5 minute walk away. Unfortunately, we didn’t have the time but you should definitely check it out if you’re in the area! Overall, my favourite thing about Melbourne is finding hidden gems in unexpected places. Spending the night in a trailer on a roof with a bird’s eye view of the city, might just be one of the most interesting concepts I've encountered to date!